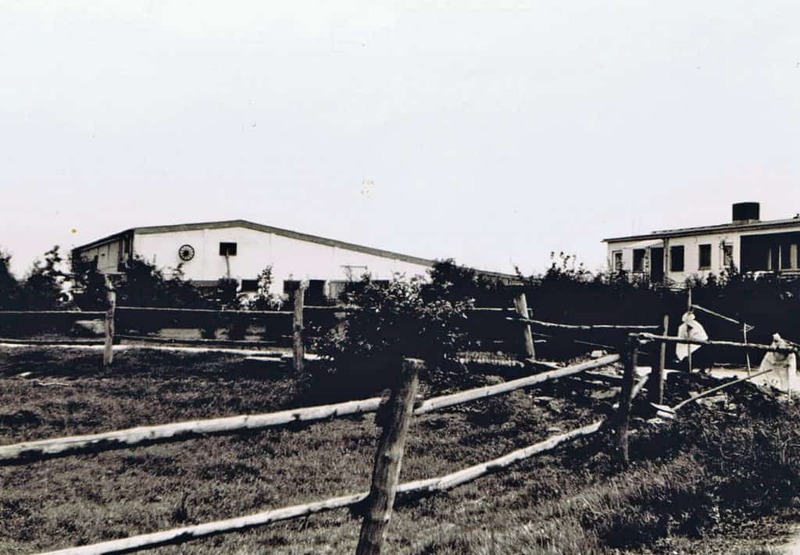 In 2017 we celebrated the 50th anniversary of our farm „Burghof“, a good occasion to look back on our long history: Back in 1967 everything looked quite different, there were only few visitors around, there were no huge indoor rings and no big jumping and dressage shows during summer. There were only two people with big dreams and a lot of work in ahead of them. In 1967 Heinz and Lina Brodhecker decided to move away from the town and build a modern cow shed on historic ground. Inspired by the Castle of Wolfskehlen (in German: Castle = Burg), which used to stand here in the 12th century they named their newly established farm „Burghof“. After we built our first indoor ring and started restructuring the farm with a focus on horses, the first boarder clients arrived in 1980. Due to a rising amount of breeding mares and homebred youngsters and the expansion of our riding school a second indoor ring had to be built in 1994. Only five years later the first licensed stallions moved in their stalls in the newly built stable of stallions. In 2007 our third and biggest indoor ring, called „Odenwaldhalle“ was built, which is used for training, as well as marketing and show events throughout the year. In summer 2011 our newest stable was finished, offering 30 spacious stalls with connected outdoor paddocks. 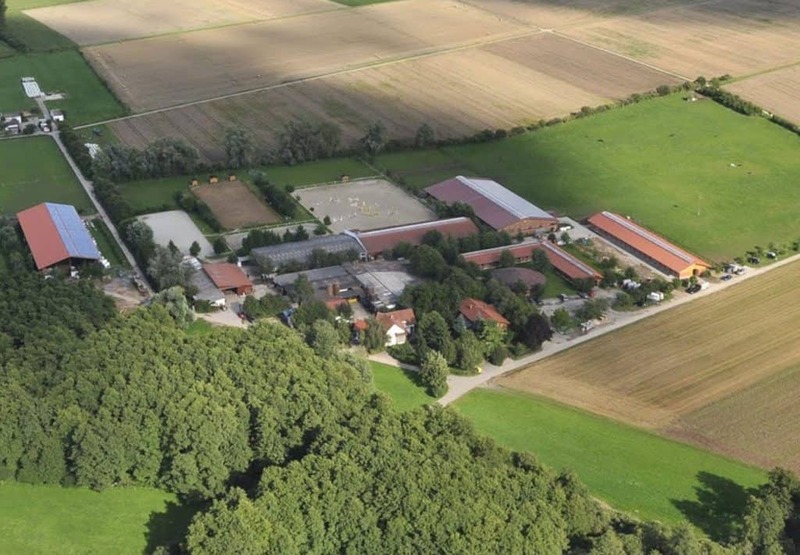 Today, also considering our 4 outdoor rings and our many paddocks, Burghof represents a modern and generously dimensioned riding facility with deep roots in the German breeding and riding scene. 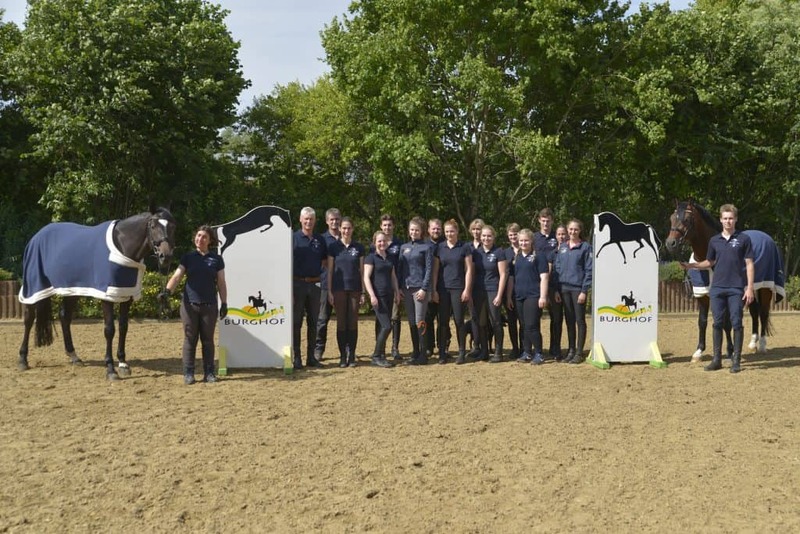 For fans of equestrian sports it offers a broad range of equestrian services, like breeding and training, boarding, and sales of talented Dressage and Jumping horses. Burghof has always been owned and run by our family, so that the names „Burghof“ and „Brodhecker“ are rarely used separate from each other in our region. Founded by the young and still small family around Heinz and Lina Brodhecker in the 60s of the last century, Burghof grew over the following decades and so did the family, so that today the third generation of our family calls Burghof their home. Headed by Volker Brodhecker (Heinz‘ and Lina’s oldest son), his wife Susanne Biederbeck-Brodhecker and his sister Elisabeth Brodhecker-Schulz a young team of riders, stable workers and agricultural workers runs Burghof today. All three generations of the Brodhecker family have always engaged in the business, even grandma Lina and grandpa Heinz could be seen in the stables daily in their old age. 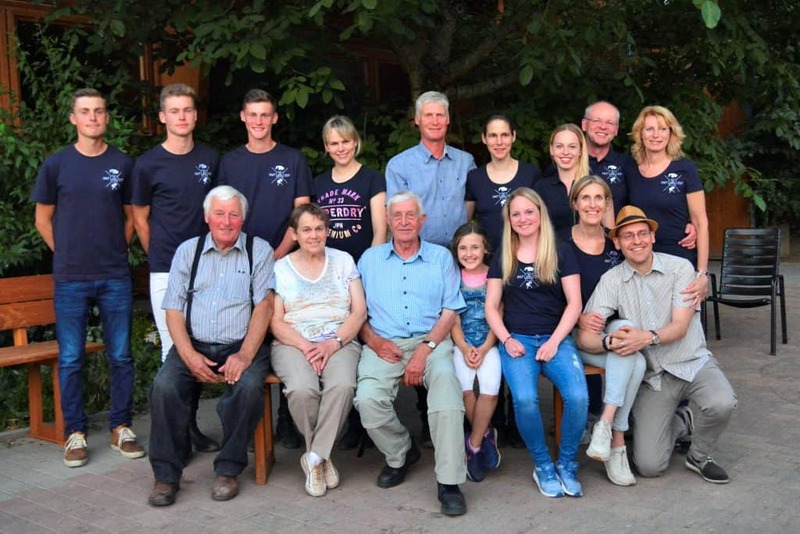 Especially the many events taking place at Burghof throughout the year are often a good occasion for the family members that left our farm in the past decades to come back and reunite where the most of our lifes have started. As a modern, and constantly changing company, we hope to be able to carry on our family tradition for a long time.